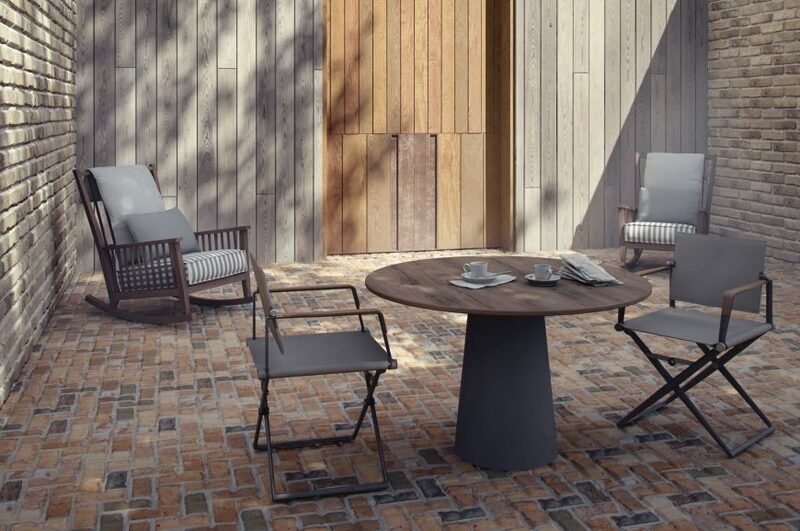 Including Crossmap, Mosaic, Walls & Tiles for 3Ds Max® and 75 materials for V-Ray, Corona and scanline. Walls & Tiles Complete includes all four texture packs: AGED WALLS, MODERN WALLS, STANDARD WALLS and STONE FLOORS with material presets for V-Ray and Corona. The version 1.5 of Walls & Tiles and Crossmap introduced some interesting new features. Creating wall and tile materials was never easier. 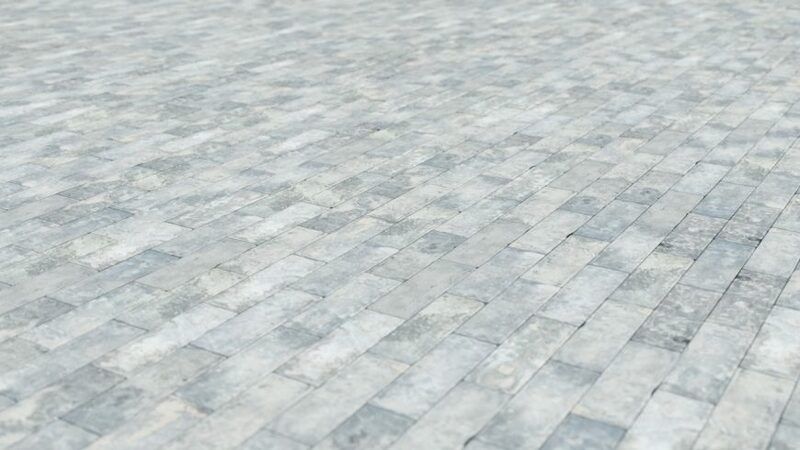 WALLS & TILES COMPLETE is the most complete solution for wall and tile materials with a very easy-to-use 3ds max material plugin and extensive texture library. Walls & Tiles creates procedural walls and floors based on multiple single bitmaps by randomizing bitmaps across bond patterns. The auto-loader loads bitmaps from any folder into the corresponding layers for bump, diffuse, reflection, displacement, and alpha without the need to manually load every single bitmap by hand. Once loaded, you can select one of 16 bond patterns, set the size, randomize position, color and surface, and you are ready to go. The Real-World mapping mode simplifies the use of wall textures in scenes by eliminating the need for individual uv-mapping per object. If you want to create bond patterns with a repeating pattern, just use the Linear Sequence instead of randomized distribution. For more information, please take a look at the reference guide. The extensive multitexture library includes four texture packs, combining 75 materials with over 900 individual bricks and tiles, each with diffuse, bump, reflection, displacement and alpha layers. Over 4300 bitmaps were hand edited to ensure they work well with Walls & Tiles to create materials within virtually seconds. 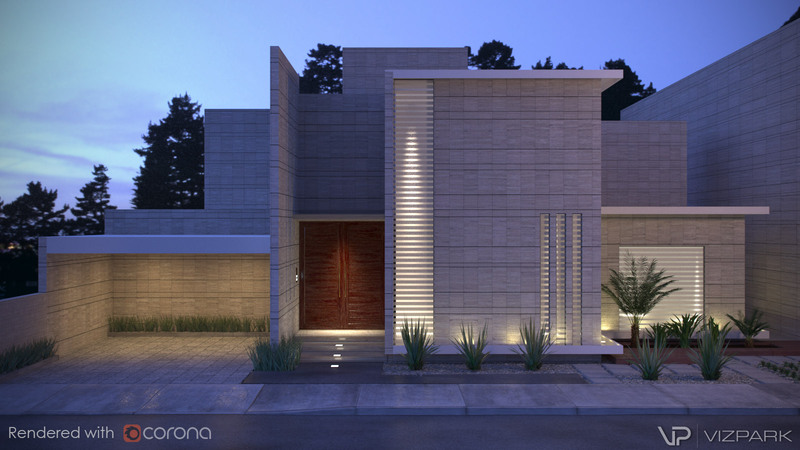 Creating flexible materials with WALLS & TILES and the included textures becomes a matter of seconds, not hours. What is Walls & Tiles ? 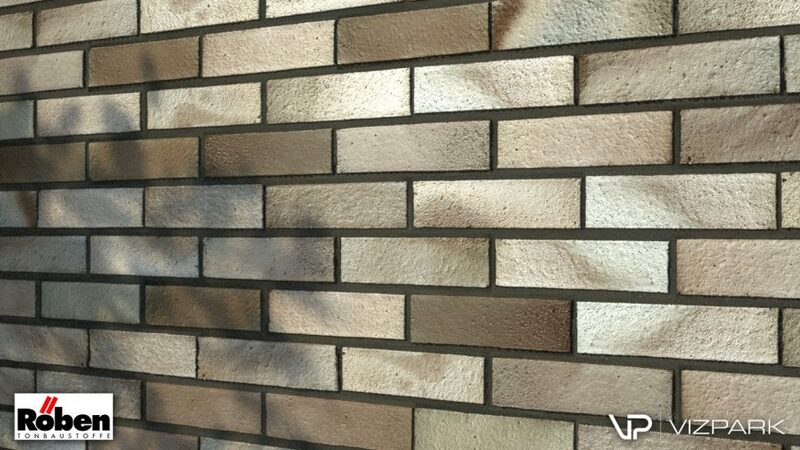 WALLS & TILES is a 3DS MAX® material plugin that any architect or 3D visualization artist will love. 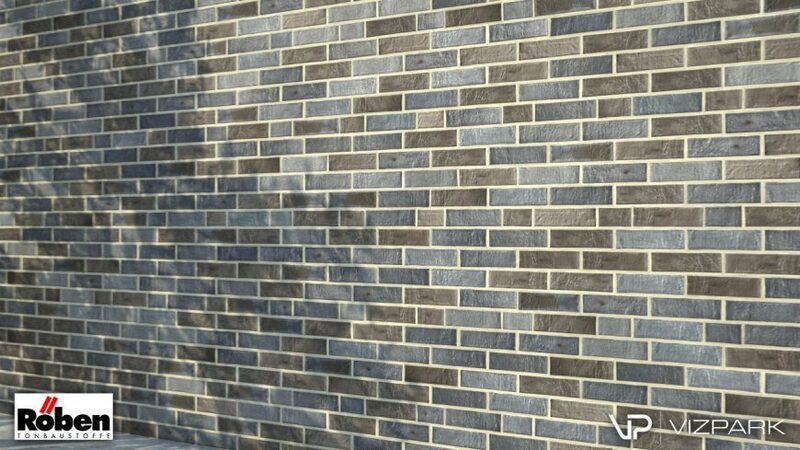 Unlike static bitmap textures, Walls & Tiles is a flexible material which can CHANGE BOND PATTERNS, REPLACE BRICKS, MIX DIFFERENT BRICKS, CHANGE MORTAR, RANDOMIZE COLORS and much more. With the newly integrated MATERIAL MANAGER, loading and managing materials is easier than ever. 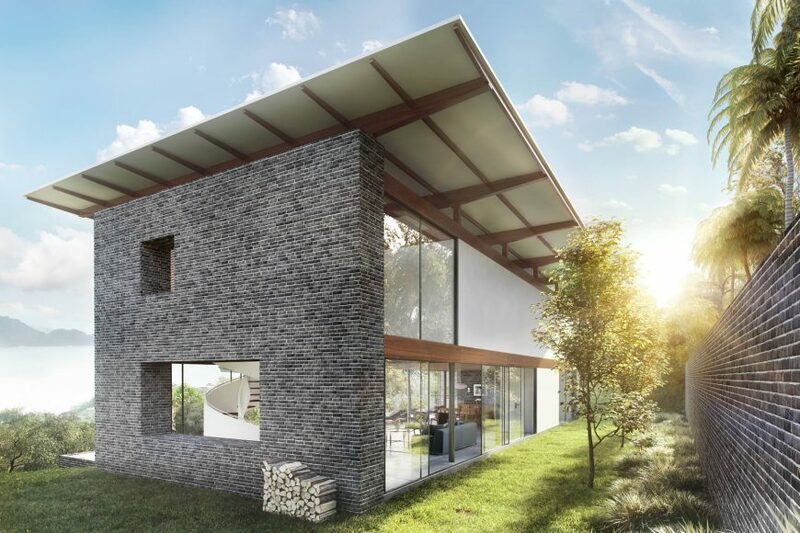 Whatever needs an architect or 3D artist might have, Walls & Tiles offers unprecedented flexibility and ease-of-use with the creation of wall and floor materials for any kind of building. When using standard bitmaps to create walls or floors, in most cases REPETITION will be visible, resulting in an unrealistic and unwanted effect in a image. Avoiding this repetition would require a very large bitmap, which again uses a lot of RAM in high resolution. Besides, such textures are difficult to get anyway. 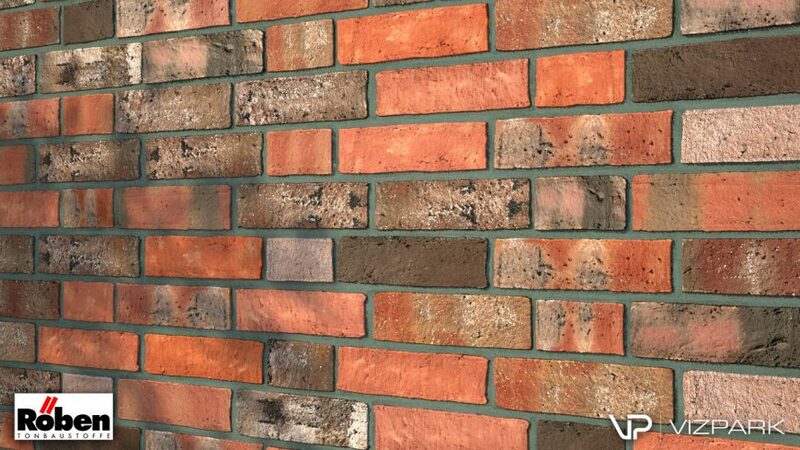 Walls & Tiles uses random algorithms to distribute bricks or tiles in a pattern. 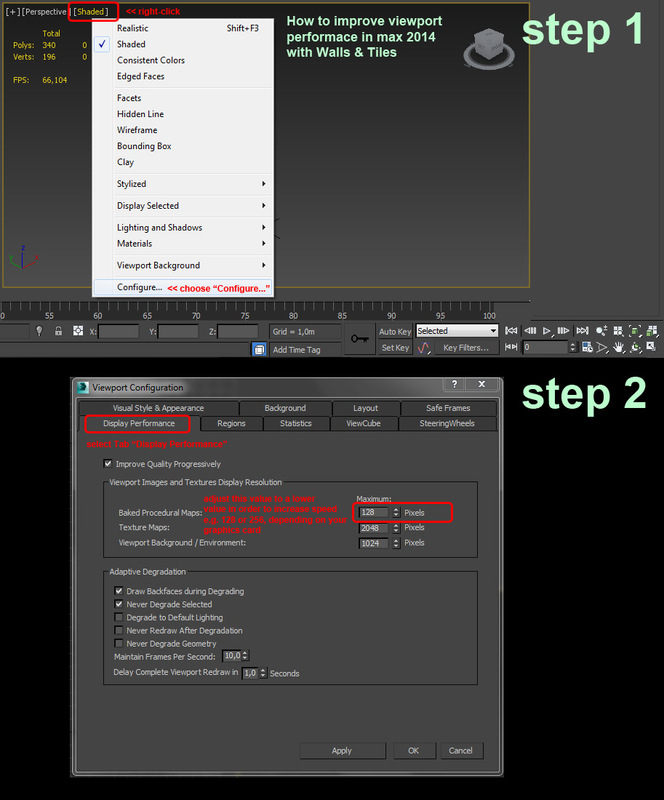 Using this method not only SAVES RAM but it also avoids visible REPETITION, resulting in a more realistic look. With Walls & Tiles you are not limited to the BOND PATTERN from your bitmap texture. 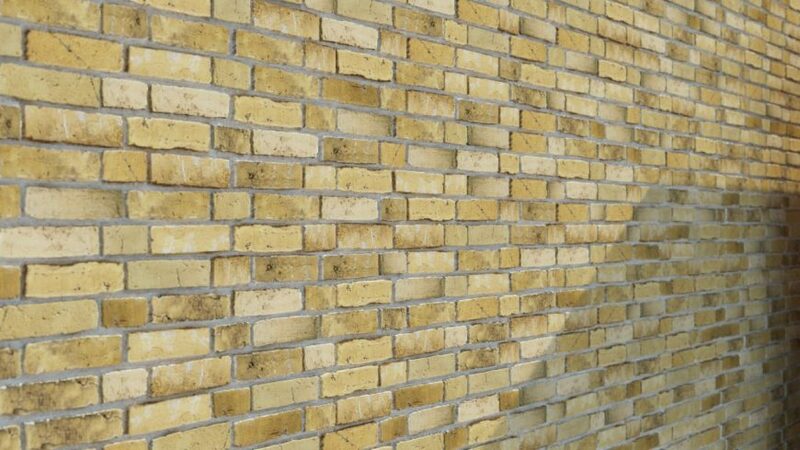 You can choose from 16 different bond patterns for brick walls, tiled floors or interior wall tiles. With any set of brick or stone floor multi-textures, the patterns can be changed on the fly. The included bond patterns offer a wide variety of standard bonds for many kinds of walls and floors, found in old ancient buildings, modern architecture, large buildings, standard houses and even interior floor tiles. The integrated CUSTOM BOND can be used to create your own bond patterns, if required. More information can be found in the REFERENCE GUIDE. Bricks can further be changed randomly: Diffuse maps can be varied by randomizing HUE, SATURATION, VALUE for every brick. BUMP levels, REFLECTION levels and DISPLACEMENT levels can be randomized to get more surface variation and ROTATION, SIZE, POSITION and WIDTH can be randomized to avoid straight lines. As a result, even with few or even only one bitmap, a large random wall or floor can be created. WALLS & TILES includes the new Material Manager Lite Edition, which makes preset handling a very fast and easy task. Material Manager is directly connected to Walls & Tiles so that loading, saving and maintaining presets can be done in a single tool. Forget about missing bitmaps, forget about searching through folders, once you know the benefits of Material Manager, you won´t want to live without it anymore. The WALLS & TILES online reference guide includes a detailed description of each parameter with rendered examples of the most important parameters and their results. For more information, please take a look at the reference guide below. The reference guide is also available through a link from within the Walls & Tiles GUI help window. More information and help is available in the TUTORIALS section and through our DIRECT SUPPORT ticket system. Submit a ticket and we will help you. 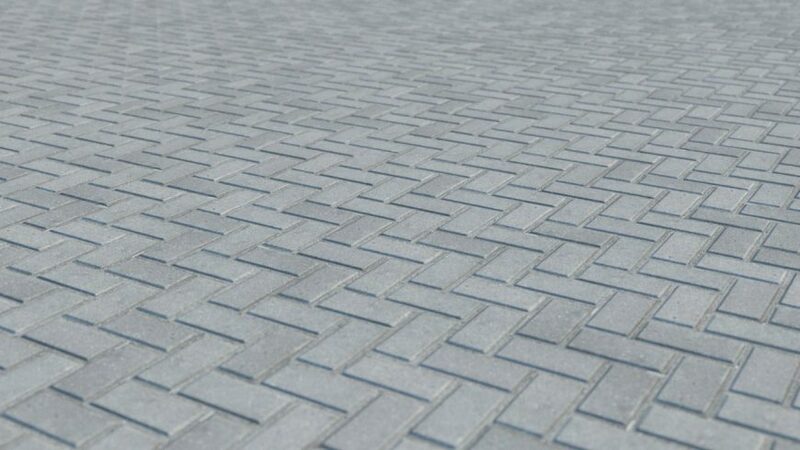 WALLS & TILES offers unprecedented flexibility to create wall and floor patterns directly within 3DS MAX®. 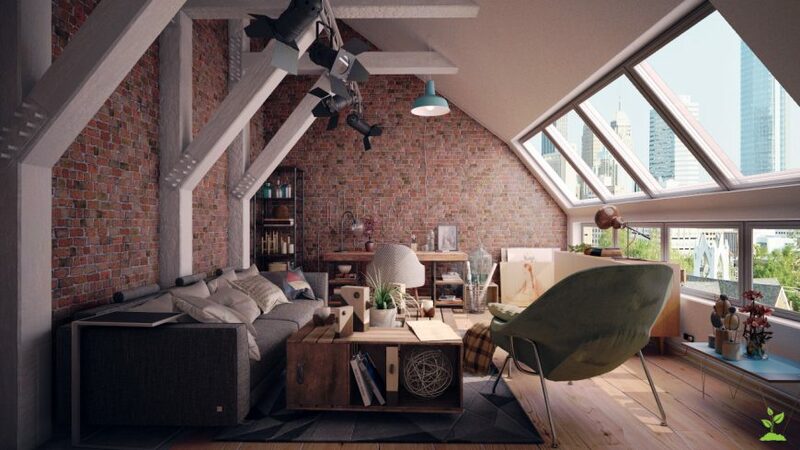 As a vray, standard or corona material, Walls & Tiles works almost similar like a normal material, just with more options and easier workflow. You can auto-load hundreds of bitmaps automatically and adjust wall parameters quickly. Further adjustments and randomization is easy and flexible like never before. BerconTile plugins for 3DS MAX®, licensed from Jerry Ylilammi under the Apache 2.0 license. You choose: The standard product WALLS & TILES, the full WALLS & TILES COMPLETE bundle with all 75 Multitextures, PLUGINS Complete or the VP COMPLETE Bundle with ALL VP Products, including Walls & Tiles plus much more. You might wonder why there are several products doing similar things, like Walls & Tiles, Crossmap and Mosaic. What is the difference between W&T Standard and W&T Complete ? There are two main differences: The texture library and Mosaic. While Walls & Tiles Standard includes a basic library of 12 Multitextures and materials, Walls & Tiles Complete includes ALL multitextures from the 4 texture packs STONE FLOORS, STANDARD WALLS, AGED WALLS and MODERN WALLS. 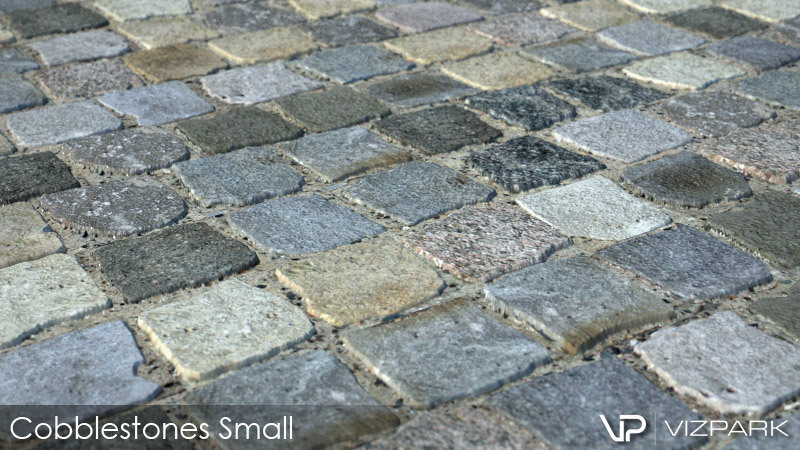 In addition, Walls & Tiles Complete includes a full version of VP Mosaic, which is also available separately. But if you want to have a complete solution, Walls & Tiles Complete is the best value-for-money choice. 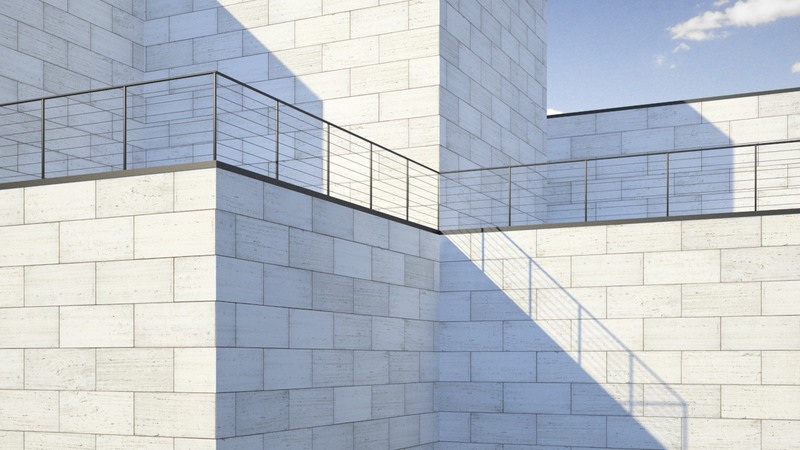 Why are only so few material included in the Walls & Tiles Standard library ? Walls & Tiles includes 10 materials as a basic example library to learn the use of walls & Tiles, while Walls & Tiles Complete includes an extensive library of 75 walls and floors. 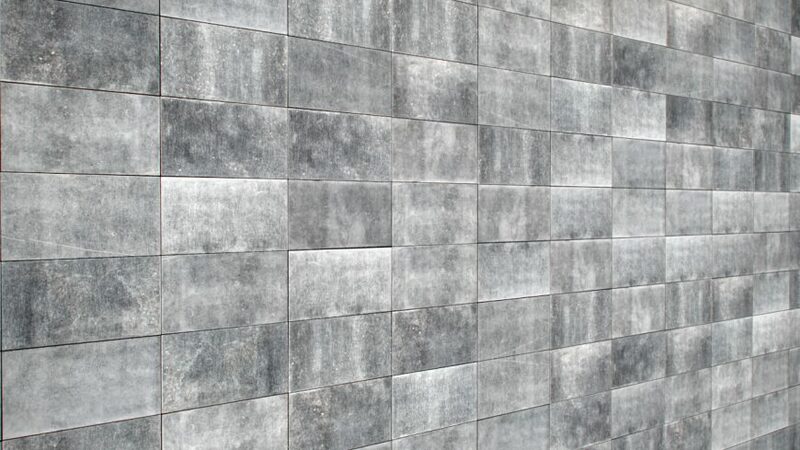 While Walls & Tiles is meant to be a cheaper alternative for those who prefer to create or use their own materials and textures, Walls & Tiles Complete is the solution for everyone looking for a complete solution. Why is Walls & Tiles so incredibly slow when changing parameters ? Why doesn´t the viewport preview work in Real World Map mode ? This is unfortunately a known issue which cannot be changed by ourselves. Because we use BerconTile within the viewport preview, we have no influence on the display when in Real World Map mode. You´ll see that the rendering will look fine if you do a short test render. If you want to adjust the size of the bricks / tiles by viewing a preview in the viewport, please use the per Object map mode instead. 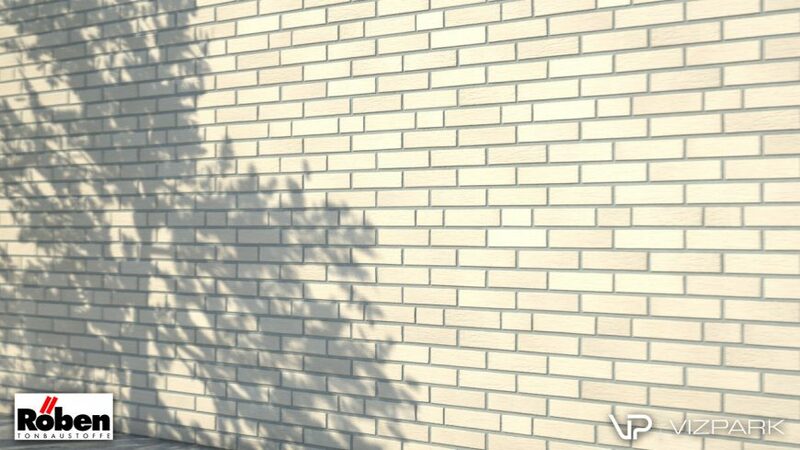 Why is Walls & Tiles not available for mental ray ? Walls & Tiles uses BerconTile from Jerry Ylilammy which is not compatible with mental ray. Simply for this reason, there is no mental ray version. We plan to develop our new plugin Omnitiles for mental ray though. Are there any plans for compatibility with 3ds max 2019? Ooh, I see, yes, sorry. Technical information still showed just up to 2018. Changed now…. Walls & Tiles is compatible with Max 2019 since half a year, as you can see on the product description (“Compatibility”). Or am I missing a part where 2019 is not shown ? Sincerely, this product does me save time in the creation of materials. Before buying this, my arch viz work looked mediocre. Walls & Tiles really helped me take my visuals to the next level. It’s easy to use, reliable, and comes with great support from the company. 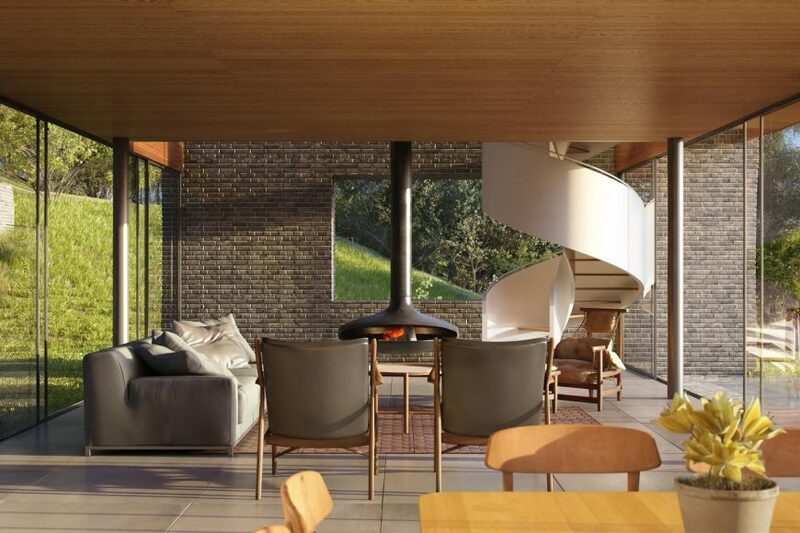 When you combine this with Automap and material manager pro, it’s power for making custom brick textures is huge, and it really is an essential addition to your arch viz pipeline. It allows to save a lot of time during rendering. 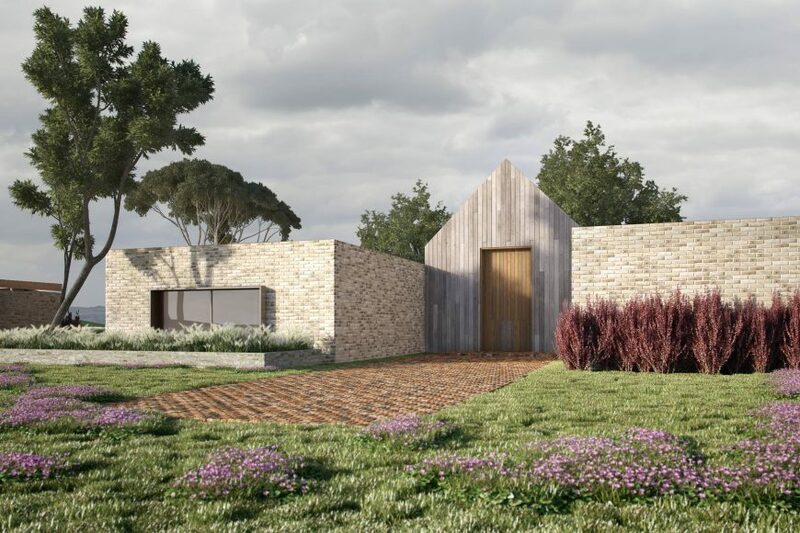 In the architectural visualization it is very important to show the quality of the material of the walls and tiles, which is very hard to put himself. And here this plugin is very helpful in this. Also here except the correct setting material, also have a large selection of ready-made materials. This saves valuable time and do not look for material on the Internet and set up. Just I put the material and confident that it will give the correct result ! Good service. Fast download and fast licensing. Some plugins take a day to receive the serials. Good help files and easy install. After a trial-period with the Walls&Tiles collection I was convinced of it’s capabilities and I can highly recommend it! I bought mine as the complete version with material presets. The control you have one the bricks is great, love the color-correction options for example! Only missing thing is the lack of a preview of the texture in the model. This sometimes makes it a little hard to create a good placement of the texture. But other than that, I highly recommend the Walls&Tiles plugin! Hi troubleman. The viewport preview works (and has always worked) fine when using per Object mapping mode. It does not work fine in most cases (depending on how units are setup for 3Ds Max in general) when using Real World mapping though. We looked into this but cannot fix it, because it´s something related to BerconTile (which is not our own development). We have recently released a new version of Crossmap 1.5.0 which improved viewport performance significantly, which enables to use higher resolution previews for the viewport buffer. Hope this helps. the missing preview in the viewport is a big issue , do they fix it in a newer plug in version ? Its been a while since this plugin is on my wishlist. Very usefull for creating all kinds of stone/brick walls and floors, even custom ones that often occur as special demand from clients. Finaly, I treated myself and added it to my workflow. A very handy tool for making brick walls floors and even wooden floors. The material manager is also a time saver. And the support is outstanding! questions I had, which I’m very greatful for, can highly recommend. Thank you Vizpark Team for this awesome tool! Is really useful in my pipeline to create this kind surfaces.